Guardianship Litigation is geared towards one goal: termination of parental rights. In fact, Title 30 requires that a Guardianship matter be resolved within three months of filing. However, that isn’t always the case. Regardless, it is imperative that you contact an experienced DCP&P defense lawyer to help you fight against the termination of your parental rights. Our seasoned trial lawyers know how the system works and how to best protect your rights in these cases. In fact, one of our lawyers, Brent DiMarco, has literally handled hundreds of DCP&P cases both investigations and court proceedings. Now you can hire him to defend you at (908)-356-6900. If you or a loved one has an issue with child protective services in New Jersey, don’t wait. Contact the Tormey Law Firm today. We represent clients with DCP&P related matters throughout Hudson County including in Hoboken, Guttenberg, Weehawken, and Bayonne. Guardianship Litigation is geared towards one goal: termination of parental rights. In fact, Title 30 requires that a Guardianship matter be resolved within three months of filing. In most cases, however, the Courts seek to adhere to the Administrative Office of the Court’s guideline that Guardianship matters be resolved in no more than six months because, often times, three months will not be enough time for the three sides – the Division, the child, and the parents – to prepare for trial. The bottom line is that if DCP&P takes custody of your child and eventually files a Guardianship Complaint against you, the case is in its eleventh hour and your time is running out to retain a DCP&P defense attorney and fight to protect your parental rights. There are a number of situations in which the Division of Child Protection and Permanency must file a Guardianship Complaint with the New Jersey Superior Court, Chancery Division, Family Part. According to Title 30, a Guardianship Complaint shall be filed if the court has entered a conviction of child abuse, abandonment, neglect or cruelty against a parent of a child, if it appears that the best interests of any child under the care or custody of the Division requires, if after a period of one year of a child being in placement the parent has failed to remove the conditions that led to placement, although financially and physically able to do so, if the parent has abandoned the child, or if the parent has been convicted of murder, aggravated manslaughter or manslaughter of another child of the parent. In addition, Title 30 requires that a Guardianship Complaint be filed once a child has been in placement for fifteen of the most recent twenty-two months unless DCP&P establishes an exception under N.J.S.A. 30:4C-15.3. Those exceptions are: if the child is being cared for by a relative and a permanent plan can be achieved without termination of parental rights, if there is a compelling reason documented in the Division’s case plan determining that termination of parental rights would not be in the child’s best interests, or DCP&P has not provided reasonable efforts to the family consistent with the case plan. In the vast majority of cases, DCP&P will not file a Guardianship Complaint until after the Court approves the Division’s permanency plan of Termination of Parental Rights. However, in certain circumstances, the Court will not approve the Division’s permanency plan but DCP&P will file a Guardianship Complaint anyways. 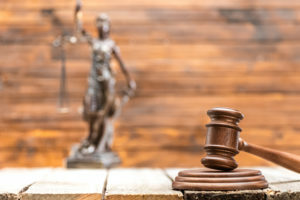 In other words, as affirmed by the New Jersey Superior Court, Appellate Division, the Division does not need the Court’s permission to file a Guardianship Complaint because the statutory authority to file a complaint rests solely with the Division. N.J. Div. of Youth and Family Servs. v. A.P., 408 N.J. Super. 252 (App. Div. 2009). As with child abuse and neglect and child welfare litigation, parents have a right to be represented by an attorney during Guardianship Litigation. DCP&P will be represented by a Deputy Attorney General and your child will be represented by a Law Guardian. If you cannot afford an attorney, the Court will appoint an attorney from the Public Defender, Office of Parental Representation. If you do not qualify for a public defender, it is imperative to contact a knowledgeable DCP&P defense lawyer to discuss your case. Contact our offices anytime for immediate assistance at (908)-356-6900.